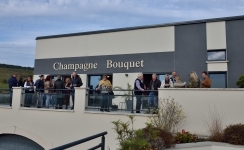 Cécile Bouquet is the current winemaker and the 5th generation of this family champagne house! Price range: between 14,00 and 30,00 Euros. 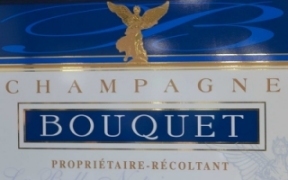 Champagne Bouquet is an ‘independent winegrower’ (Vignéron Indépendant) who rigorously watches over the quality of the grapes and the wines. 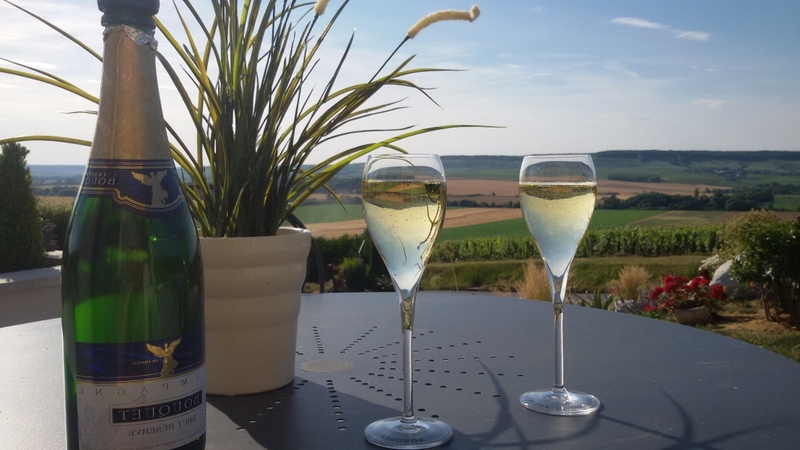 In the champagnes you'll find the reflection of the wonderful terroir of the Marne Valley: fruity, exuberant and intense. 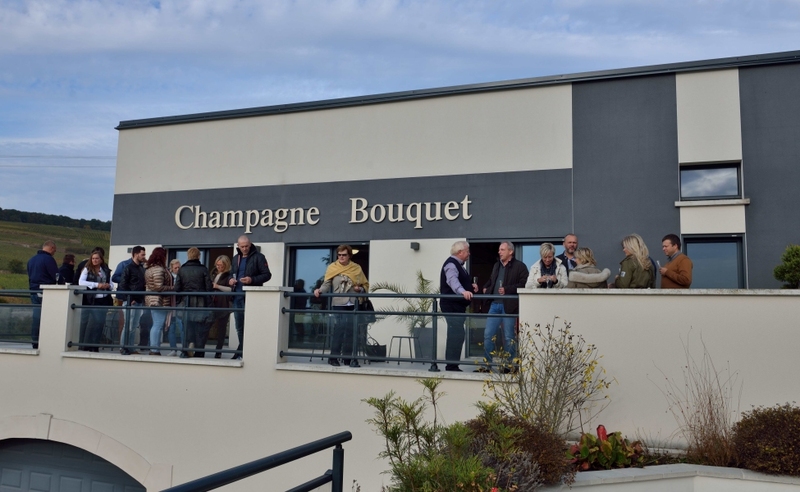 The Bouquet family welcomes you 7 days a week (indeed, even on Sundays) in a beautiful tasting area or, when the weather is fine, on the terrace that offers a magnificent panoramic view of the Marne Valley. From 2 bottles onwards, you can have your bottles personalized!! Eye: straw yellow color with golden reflections, intense bubbles. Nose: delicate, fruity, generous aromas of white flowers, chamomile and cooked fruits. Mouth: abundantly fruity (as it should in the Marne Valley). Food and champagne pairing: can be drunk just for fun or as an aperitive, but also with white grilled meat, poultry, sweet and fruit desserts. A very seductive rosé d’assemblage! Eye: a lovely pink color with glowing ruby reflections. Nose: fruity and harmonious with aromas of: roses, laurel leaves, red fruits (cherry, raspberry, blackberry) and some nutmeg. 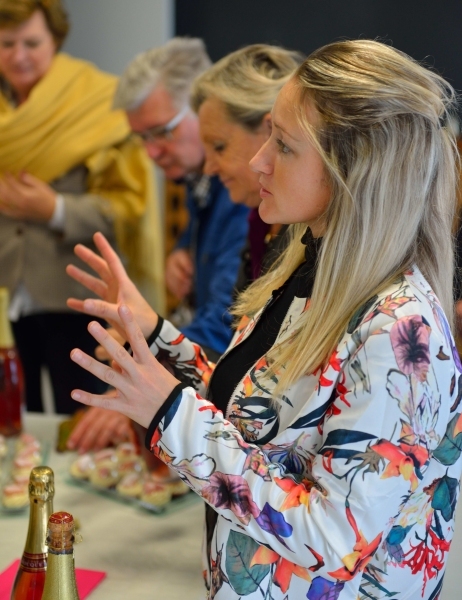 Food and champagne pairing: enjoy it as an aperitive but also with cooked salmon, poultry, red fruit desserts, chocolate and cheese. Eye: a yellow golden color gold with brilliant, gold reflections. Nose: rich aromas of: butter, jammy fruit, baked apple and raisins. Mouth: smooth and creamy mouth feel and a long aftertaste. Food and champagne pairing: it can be drunk at any moment but it also matches perfectly with creamy sauce dishes (fish or poultry), duck confit, roast duck, cream desserts. Eye: a clear golden dress with sparkling golden reflections. Nose: fine and elegant with aromas of: honeysuckle, white flowers and fresh fruit. Mouth: light, balanced and supple. 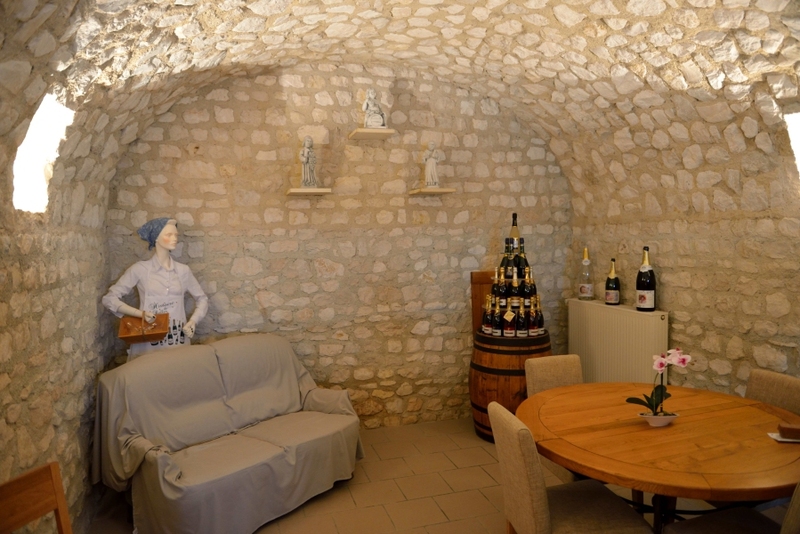 Food and champagne pairing: as an aperitive or with oysters, scallop carpaccio, grilled white meat, toasted bread crusts. An excellent blanc de noirs! Eye: an intense golden color! Nose: complex and intense, subtle aromas of black pepper and toasted almonds. Mouth: smooth, a huge roundness, structured body and a long aftertaste.